Greer Amps is a small, artisan operation out of Athens, Georgia, that belies its size with an impressive line of amps and effects. With no less than 24 different pedals, eight distinct tube amplifier designs, and a selection of cabinets, the people of Greer are undoubtedly a clever, hardworking bunch with an uncommon dedication to building cool tone generators. The company's Lightspeed Organic Overdrive, in particular, has gotten a lot of press for its enchanting boost and low-gain drive tones, and Greer has recently expanded on the success of this pedal with the new Southland Harmonic Overdrive. The Southland takes the Lightspeed's gentle, transparent character and adds a little more dirt, presence, and mid-range color, while retaining dynamics and an organic feel. I had the opportunity to hang out with the Southland for awhile, and I found it to be a remarkably useful overdrive that strikes an appealing balance between total transparency and varying subtle hues of gain and grind. My first impression of the Southland’s basic character was that it was quite neutral and open-sounding, essentially just giving me more of my guitar and amp (a FrankenTele and a 20-watt, EL84-based combo). Unlike the bulk of overdrive pedals I’ve played, it didn’t seem to truncate any low end or otherwise warp any other frequencies out of shape, resulting in a big, dynamic tone that stayed true to my rig’s essential nature. Setting it up for a clean-ish boost, with the Volume up, Gain down, and Tone knob at noon, resulted in a somewhat warmer, fatter version of my (slightly dirty) clean sound. This pleasing neutrality remained as I cranked up the gain control a bit, but as the knob traveled past the 12 o’clock mark I noticed that the increasing gain and harmonic complexity seemed to be accompanied by an enhanced mid focus as well. This was not the ghastly, misshapen, Quasimodo hump of the Tube Screamer, but a more delicate, precise enhancement that increased clarity and individual note intelligibility along with the gain, meaning that you can totally dime the Southland’s dirt knob and it will never get muddy. To my ears, the effect was similar to having a touch of clean tone blended in with the dirt, adding definition and a rich, harmonic chime. The Southland’s balanced tonal profile lets it work quite well with any guitar and amp combo, but its tone knob is essential for really dialing it in. The pedal’s tone control alters the presence spectrum of the treble frequency range, increasing in brightness as you turn the knob clockwise, and becoming darker in the opposite direction. I found that most of its range was quite useful with just about any pickup, and even at its brightest setting the tone was never harsh. All the way left, it was too dark to be useable with humbuckers, but this setting can be great for getting a warm, smoky lead tone from a bright single-coil pickup. Of course, the Southland is no high-gain monster. Its forte is low and medium-gain sounds, but it will definitely provide a meaty rock crunch and rich, lead-friendly saturation at extreme settings, more than enough for anything that’s not metal. If you do find yourself needing a bit more juice, I found that the pedal’s uncolored personality allows it to stack really well with other pedals. It paired wonderfully with the diversity of other drive, fuzz, and boost boxes I had lying about, adding substantial girth and grit to whatever it was in line with. There are an awful lot of overdrives on the market today, so it takes something really special to stand out from the crowd of sound-alikes and Screamer clones. Greer has achieved this with the Southland Harmonic Overdrive. It’s defined by its neutral, yet highly musical, voice that lets it adapt easily to any rig or playing situation. As such, it’s ideal as an always-on foundation on which to base the rest of your rig, or just as a subtle, transparent sonic enhancer for a minimalist setup that needs a little extra sumpin'-sumpin'. What we like: The Southland’s Swiss sonic neutrality doesn’t screw with your sound, and makes it a perfect foundation on which to anchor one’s rig. It retains incredible clarity and rich, harmonic chime even at the highest gain settings, easily handling anything from gentle boosting to cranked-stack crunch, and its tone circuit is superb, with useful tones at every setting. 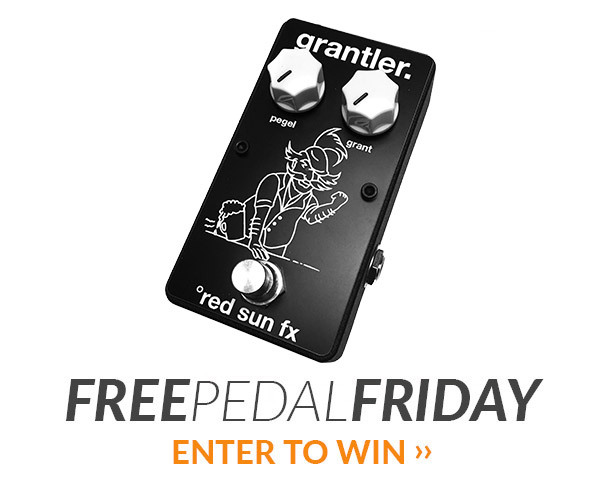 This pedal fairly reeks of quality. 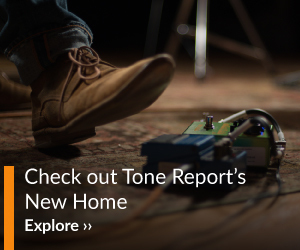 Based upon the review, it sounds like a Klon-inspired pedal. Another good review in “Guitar Player” is causing me to check this pedal out further.